It is made up with the permanent magnetic core with high performance, iron-discharging chain and iron-protecting cover. It is used to eliminate the ferromagnetism materials from the non-magnetic material. Inside we adopt the computerized simulating magnetic field circle design and perfect double magnetic poles structure. 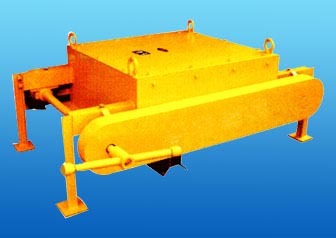 As the ferromagnetism material accumulates, wag the handle to drive the scraper to eliminate the iron. The equipment has the characteristics with low price, high performance and so on.